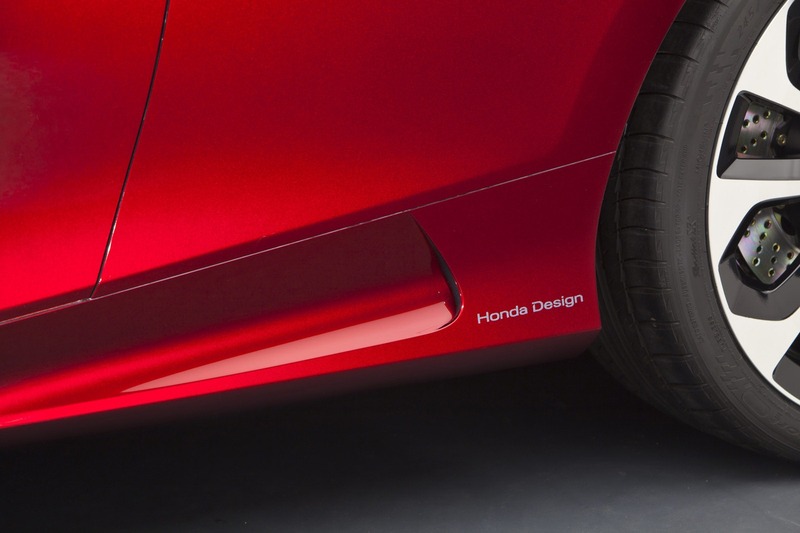 Η Honda παρουσίασε στο Detroit θα παρουσιάσει την Coupe έκδοση του Accord σε μορφή πρωτότυπου, προτού παρουσιαστεί η έκδοση παραγωγής τον Σεπτέμβριο του 2012. Το Accord Coupe διαθέτει επιθετική και δυναμική σχεδίαση με τα στοιχεία αυτά να περνούν και στην έκδοση παραγωγής. Το πρωτότυπο διαθέτει κυψελοειδής μάσκα, αρκετά χρωμιομένα διακοσμητικά, ζάντες 20″, διπλές απολήξεις των εξατμίσεων, αεροτομή και LED φωτιστικά σώματα. Μηχανικά το μοντέλο παραγωγής θα είναι διαθέσιμο με τρεις κινητήρες. Αρχικός είναι ένας νέος Earth Dreams τετρακύλινδρος 2.4-λίτρων απόδοσης 184 ίππων με 240 Nm ροπής και συνδυάζεται είτε με ένα 6-τάχυτο μηχανικό κιβώτιο, είτε με ένα συνεχώς μεταβαλλόμενης μετάδοσης CVT. Ακολουθεί ο V6 3.5-λίτρων απόδοσης 314 ίππων με 359 Nm ροπής. Συνδυάζεται είτε με ένα 6-τάχυτο μηχανικό κιβώτιο, είτε με 6-τάχυτο αυτόματο. Τέλος υπάρχει και ένας υβριδικός κινητήρας στην έκδοση Accord Plug-in Hybrid, ο οποίος αποτελείται από έναν 2.0-λιτρο τετρακύλινδρο Atkinson κινητήρα βενζίνης απόδοσης 163 ίππων και από έναν ηλεκτροκινητήρα που τροφοδοτείται από μια μπαταρία ιόντων λιθίου 6 kWh. Συνδυάζεται με ένα CVT κιβώτιο και μπορεί να ταξιδέψει αποκλειστικά με χρήση του ηλεκτροκινητήρα για 25 χλμ περίπου με μέγιστη ταχύτητα 100 χλμ/ώρα. Όταν η μπαταρία φορτίζει μέσα σε λιγότερο από 4 ώρες μέσω απλής οικιακής πρίζας 12οV και μέσα σε 1.5 ώρα μέσω πρίζας 240V. Τεχνολογικά το αυτοκίνητο θα έχει σύστημα ειδοποίησης αλλαγής λωρίδας, σύστημα ειδοποίησης τυφλού σημείου, σύστημα αποφυγής ατυχήματος, κάμερα οπισθοπορείας, σύνδεση Bluetooth αλλά και ένα σύστημα το οποίο μπορεί να σου διαβάσει τα SMS σου μέσω των ηχείων του αυτοκινήτου. Περισσότερες λεπτομέρειες μπορείς να βρεις στο δελτίο τύπου που ακολουθεί. 01/10/2012 – DETROIT Honda unveiled the dynamic Accord Coupe Concept today at the North American International Auto Show, providing the first official glimpse of the athletic styling direction, as well as revealing a host of new technologies for the all-new, ninth-generation 2013 model, set to go on-sale this fall. 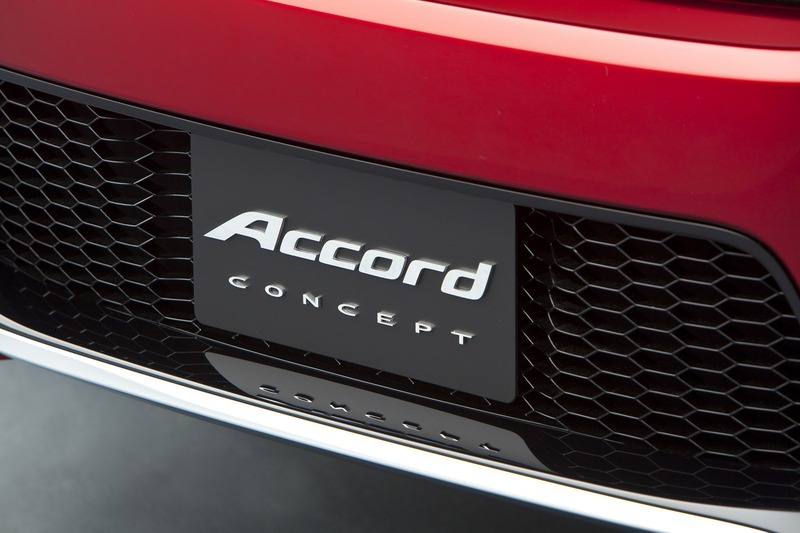 The 2013 Accord will feature three all-new powertrains, including the first U.S. application of both a 2.4-liter direct-injected engine and two-motor plug-in hybrid system from Honda’s suite of next-generation Earth DreamsTM powertrain technologies. 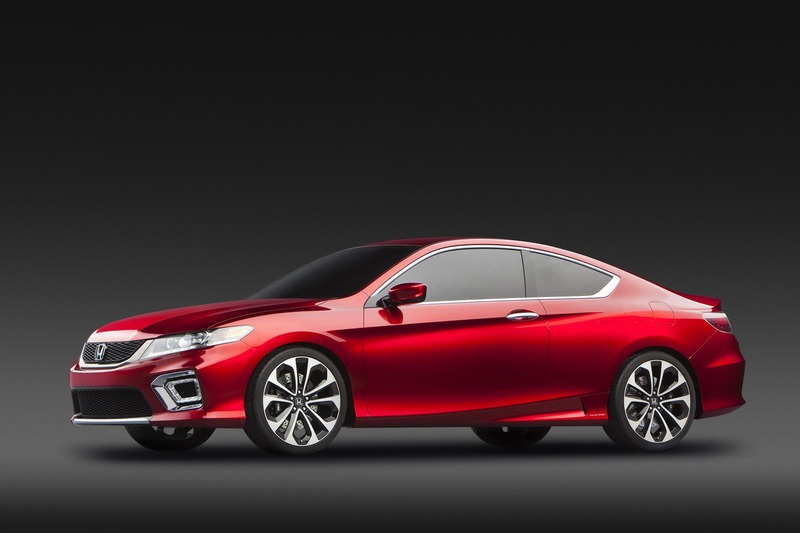 In addition, the V-6 Accord will be the first Honda sedan to feature a new 6-speed automatic transmission. Both the Accord Sedan and the Accord Coupe models are expected to achieve class-leading fuel economy ratings and will be available with a number of innovative new safety and technological features. “Marking the 30th anniversary of U.S. production, this new ninth-generation Accord will raise the bar again through a tour de force of new Honda powertrain and safety technologies, geared to ensure that Honda and the Accord continue to lead in fuel economy, safety and fun-to-drive performance,” said John Mendel, executive vice president of sales for American Honda. 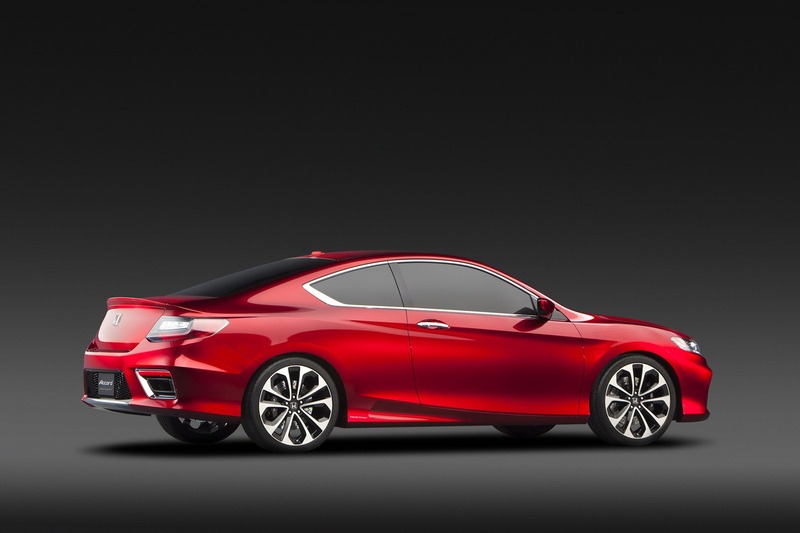 The Accord Coupe Concept features an athletic styling direction for Honda’s best-selling model. The front bumper’s dynamic lines are highlighted by a revised four-sided honeycomb grille and deeply set multi-reflector headlights. 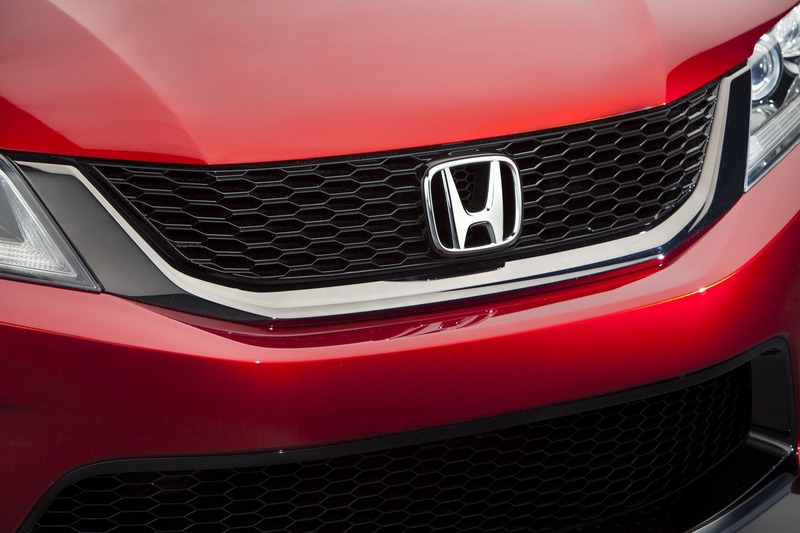 Lower fog-light spoilers are accented by crystallized chrome inlays. 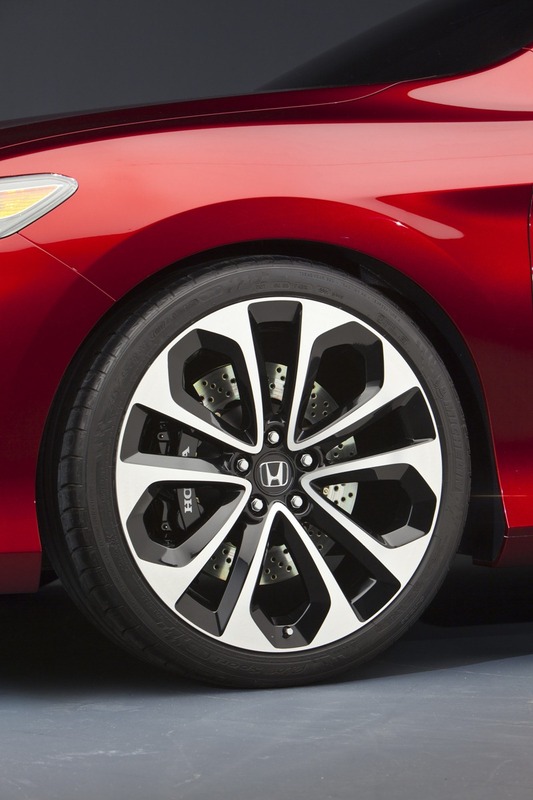 The Accord Coupe Concept’s 20-inch, machine-finished, 5-spoke wheels contribute to its solid stance. 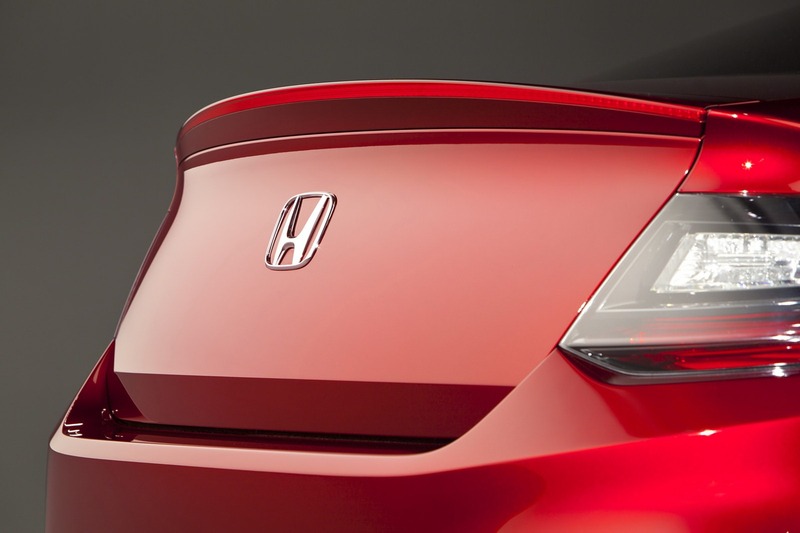 The rear taillights aggressively sweep into the body, while a trunk -lid spoiler and large exhaust finishers integrated into the bumper underscore the Accord Coupe Concept’s muscular exterior. 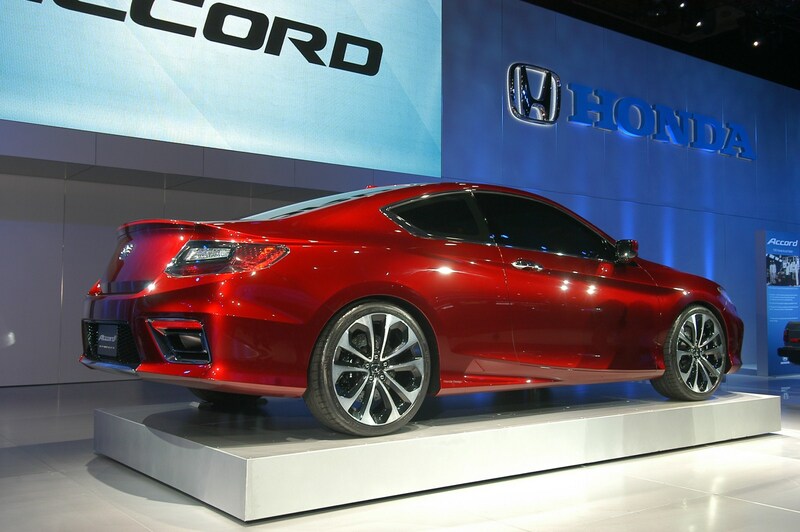 While the Accord Coupe will remain similarly sized, the Accord Sedan will feature a more compact exterior footprint, adding to its sportier appearance. A shortened length and reduced weight will also give the 2013 Accord Sedan more responsive handling and improved driving dynamics. 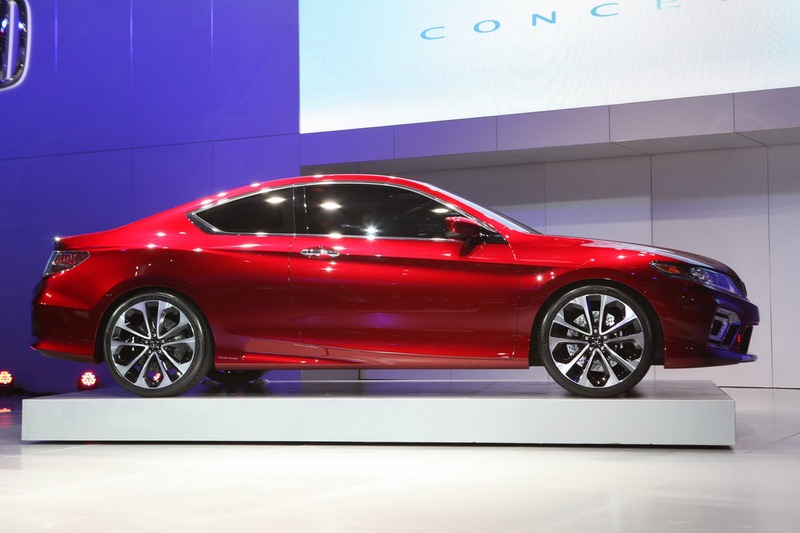 Both the 2013 Accord Sedan and Accord Coupe will retain the current model’s generous cabin space. 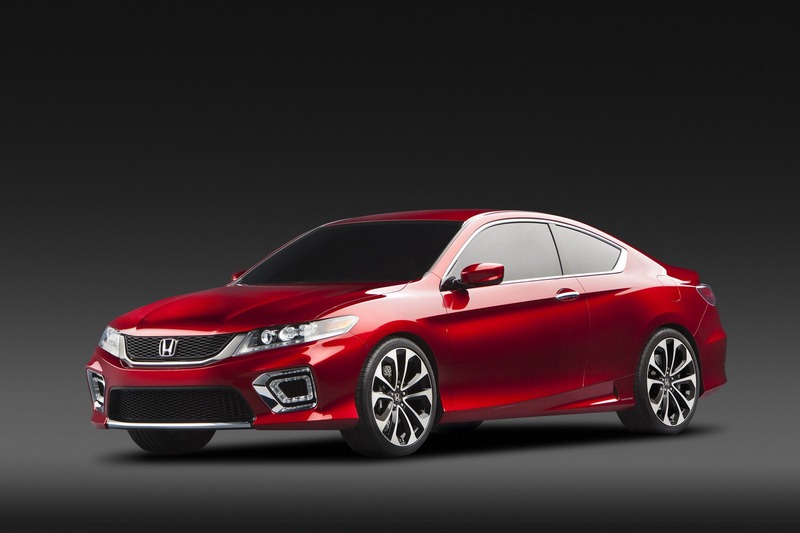 The Accord will offer three all-new powertrains for the 2013 model year. 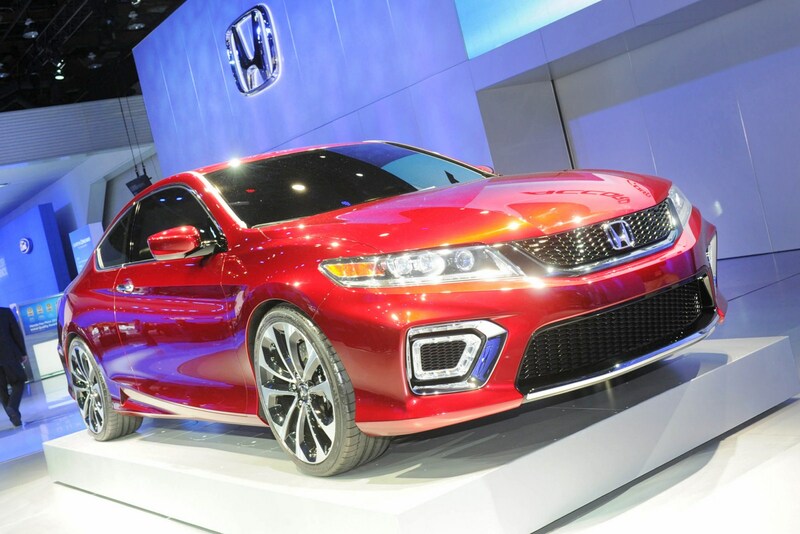 The Accord Sedan and Accord Coupe will be the first models in the U.S. to receive the new Earth Dreams 2.4-liter, 16-valve DOHC i-VTEC® four-cylinder engine featuring direct- injection (DI). The engine will be paired to a 6-speed manual transmission or a new Continuously Variable Transmission (CVT), which utilizes an innovative cooperative control system for excellent acceleration and responsive shifting. The all-new 2.4-liter DI engine generates significant performance improvements compared to the 2.4-liter 4-cylinder engine it replaces, producing more than 181 horsepower and 177 lb-ft of torque. In addition to an overall improvement in fuel economy compared to the 2012 model, the new four-cylinder-equipped 2013 Accord models are targeted to deliver class-leading fuel economy1. 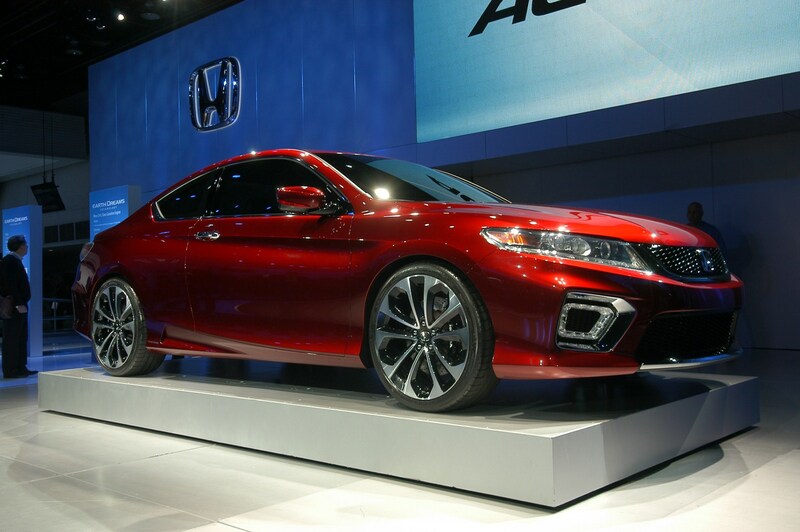 The 2013 Accord Sedan and Accord Coupe will also be offered with a re-engineered 3.5-liter, 24-valve, SOHC, i-VTEC V-6 engine, paired to a new 6-speed automatic transmission or an available 6-speed manual transmission. The new V-6 engine generates an increase in horsepower and torque over the current model. 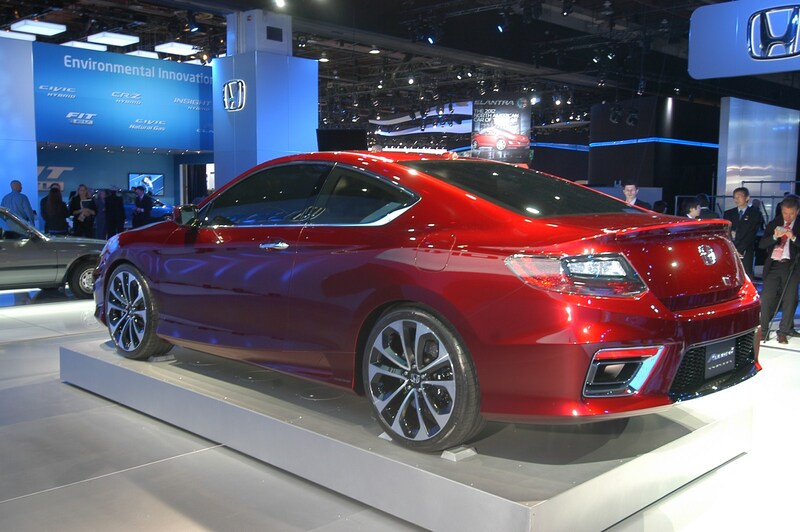 The 2013 Accord Sedan and Accord Coupe models equipped with the 6-speed automatic transmission will utilize Honda Variable Cylinder Management TM (VCMTM) technology and are targeted to achieve class-leading fuel economy1 along with an overall improvement in fuel economy compared to the outgoing model. 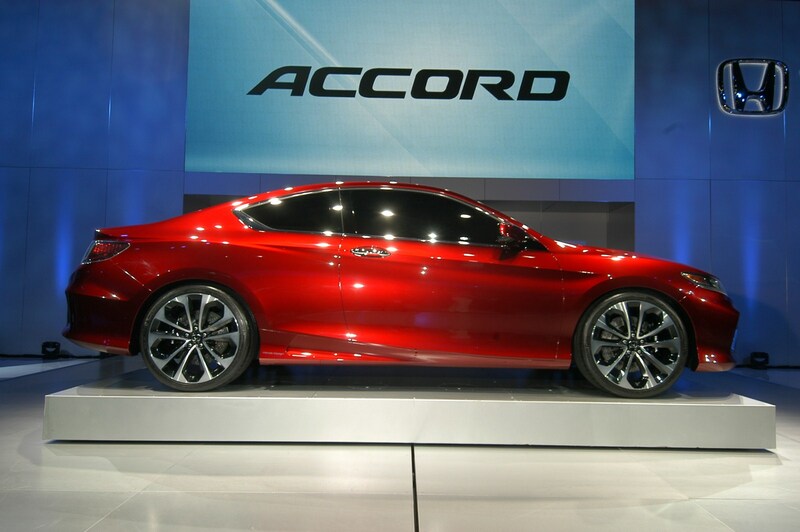 The 2013 Accord lineup will also feature the first application of a new two-motor plug-in hybrid system to the Accord Sedan. The Honda two-motor hybrid system moves continuously through three modes – all-electric, gasoline-electric and direct-drive – to maximize driving efficiency and fuel economy. In all-electric mode, the 2013 Accord Plug-In Hybrid will use a 6 kilowatt-hour lithium-ion battery and a powerful 120 kW electric motor to achieve an all-electric range of approximately 10-15 miles in city driving scenarios and a top speed of 62 mph. Fully recharging the battery will take less than four hours using a 120-volt, outlet and less than 1.5 hours using a 240-volt charger. In the gasoline-electric hybrid mode, the Accord is powered by its fuel-efficient 2.0-liter, i-VTEC inline four-cylinder, Atkinson cycle engine, paired with an electric Continuously Variable Transmission (E-CVT). For more efficient high-speed cruising, the Accord Plug-In Hybrid can engage in a direct-drive mode, in which only the engine drives the front wheels. The Accord Plug-In Hybrid launch next winter. 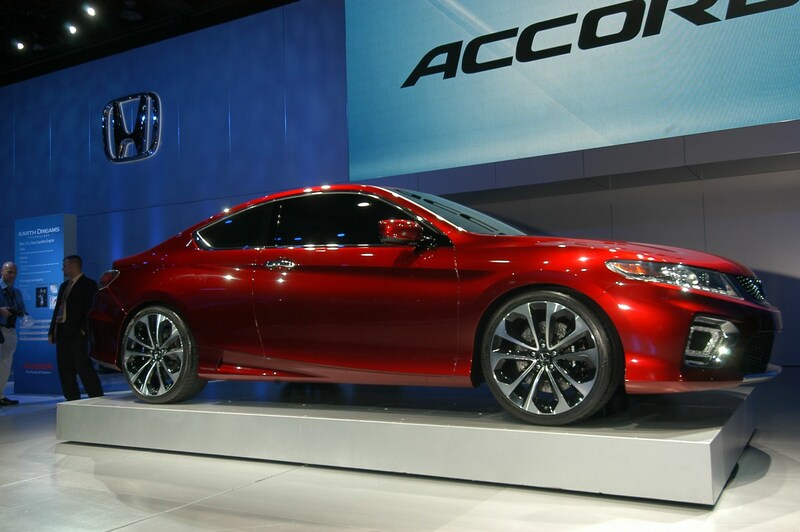 All 2013 Accord models will incorporate the Honda ECO AssistTM system, an innovative technology that can enhance efficient vehicle operation at the touch of a button, while also providing visual feedback to the driver to promote and confirm a more efficient driving style. 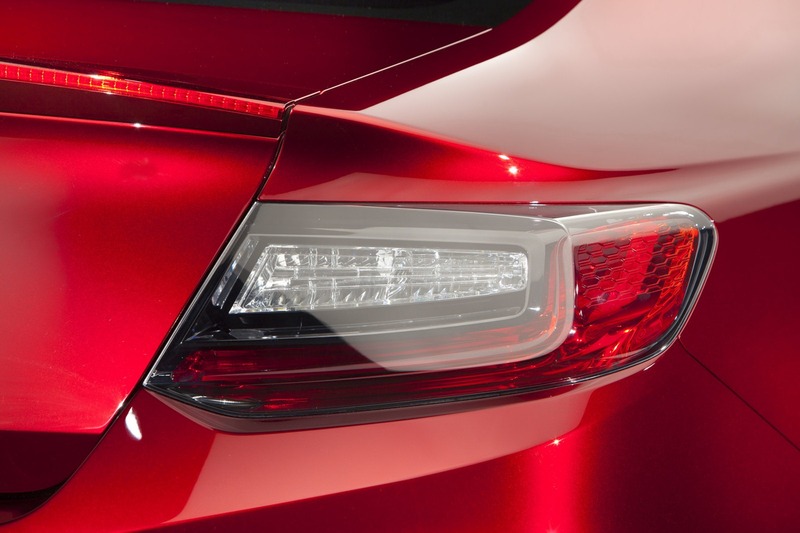 The 2013 Accord will introduce numerous new features for enhanced driver safety, visibility and security. 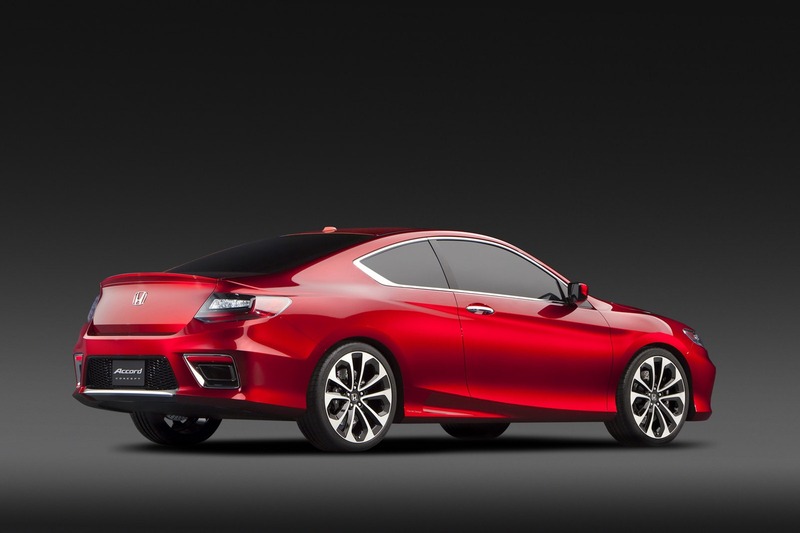 The new Accord will be available with Honda’s first application of Lane Departure Warning (LDW) and Forward Collision Warning (FCW) technology. Both systems use a camera mounted behind the windshield to alert drivers if the car is moving out of its lane or to warn drivers of a potential collision in front of them. 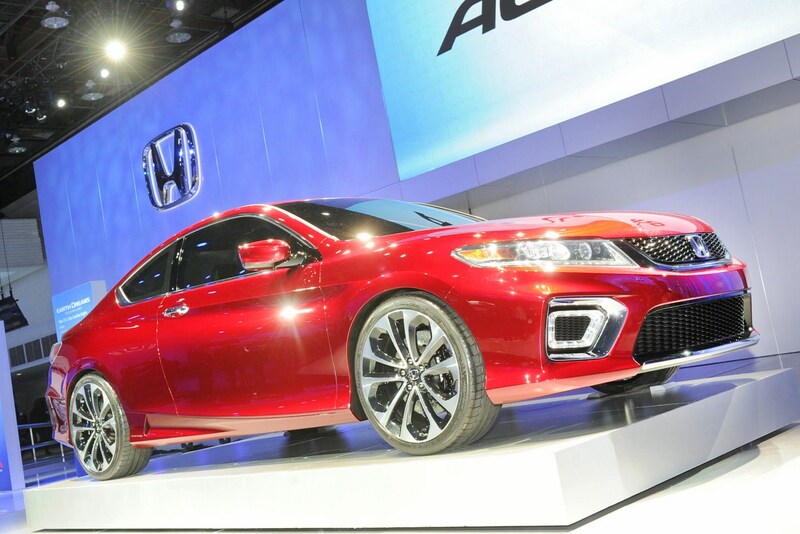 The 2013 Accord is targeted to earn top scores in both the federal government’s New Car Assessment Program (NCAP) and the Insurance Institute for Highway Safety2 (IIHS) vehicle evaluations. 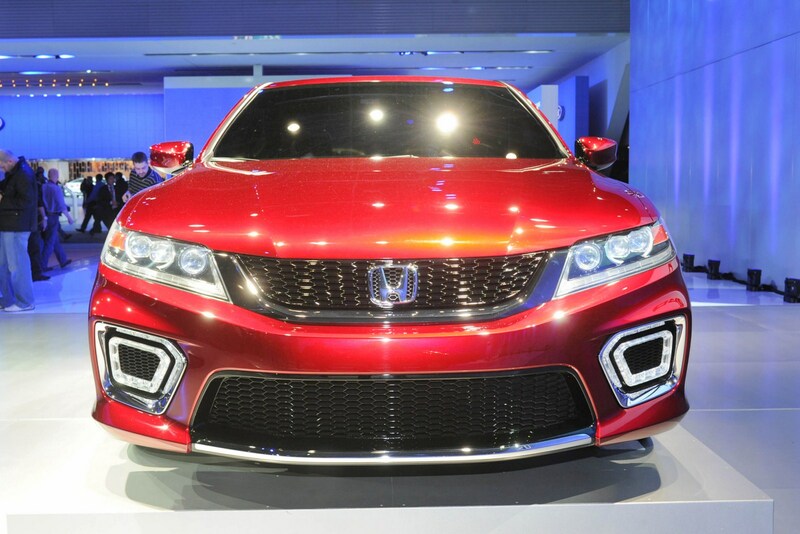 Additionally, the Accord will be equipped with several new technologies to help improve the driver’s visibility around the vehicle. 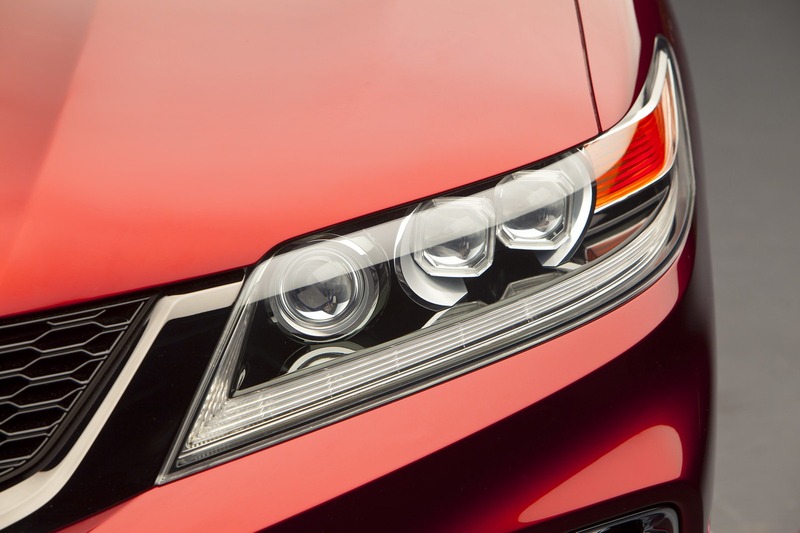 The Accord will be the first model to receive the Honda-exclusive LaneWatchTM blind-spot display, which uses a camera system mounted on the passenger mirror for an enhanced view of the passenger-side roadway. 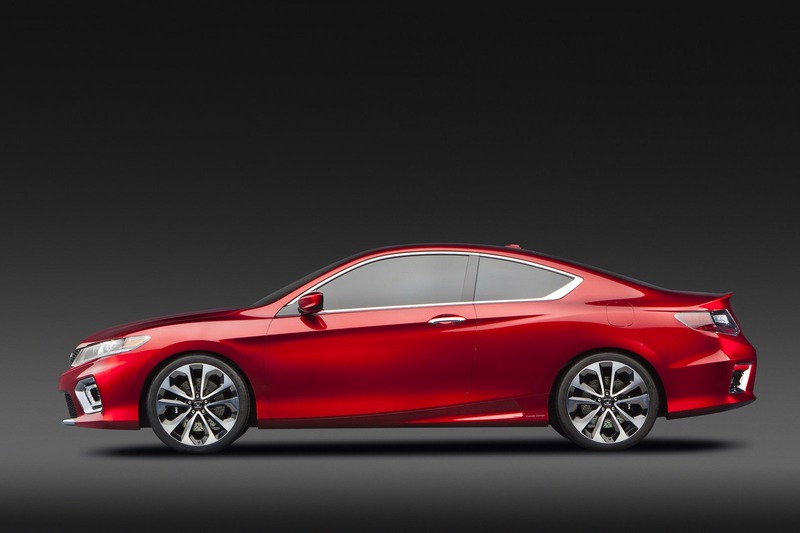 The Accord will also receive a rearview back-up camera and an Expanded View Driver’s Mirror as standard equipment. 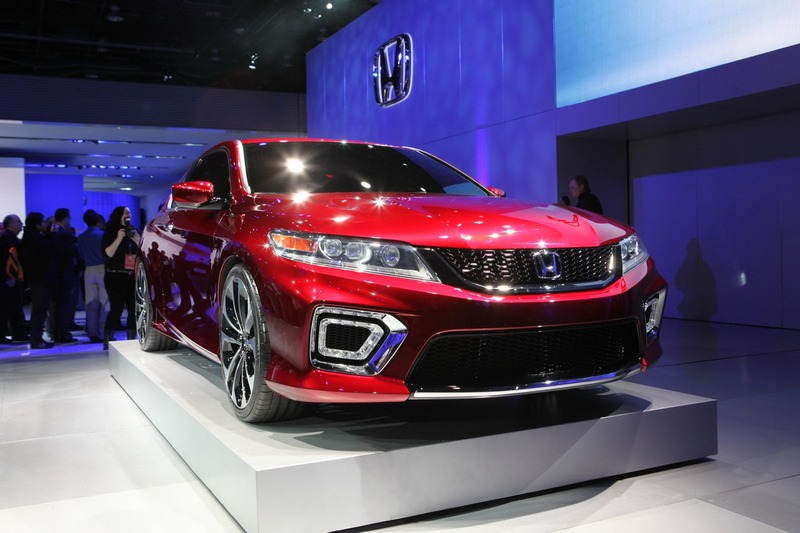 The Accord has always been an exceptional value and the 2013 model will offer more standard equipment compared to the current model, including new advanced technology features. High-tech features that will be found on all 2013 Accord models include Bluetooth®3 HandsFreeLink® phone interface, a full-color intelligent Multi-Information Display (i-MID) and an SMS text messaging function, which can read received texts from compatible cell phones aloud over the audio system. Another standard feature and first for the Accord is the introduction of a Pandora® Internet Radio interface4, compatible with the Apple® iPhone®, which works with the vehicle’s audio controls and i-MID. The Honda Accord, currently in its eighth generation, is one of Honda’s best-selling vehicles worldwide and remains one of the top-selling automobiles in the U.S. 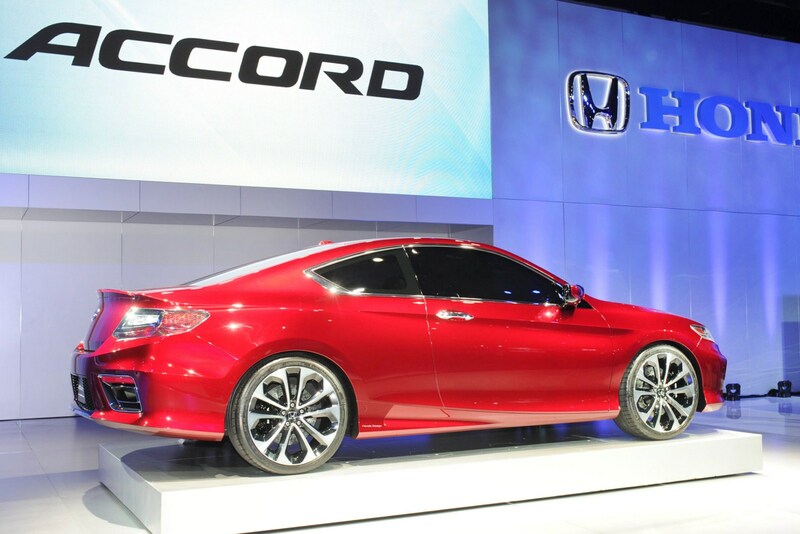 The Accord was launched in 1976 with subsequent major re-designs in 1982, 1986, 1990, 1994, 1998, 2003 and 2008. 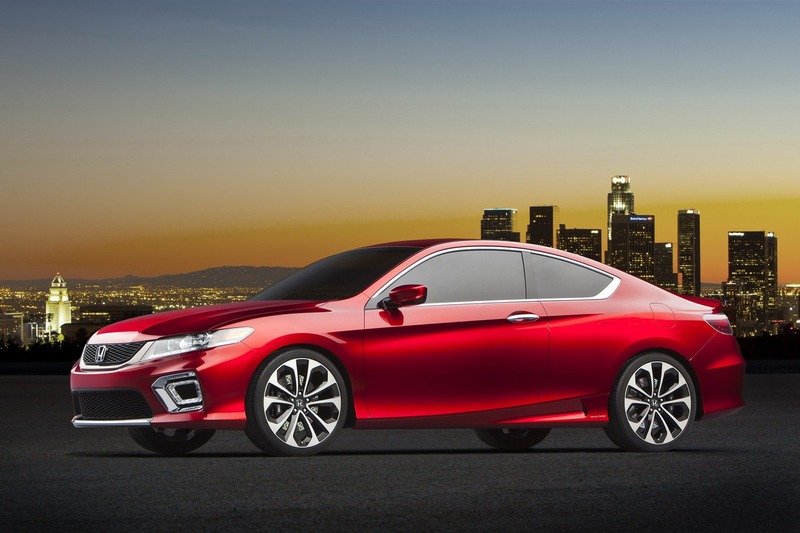 More than 11 million Accords have been sold in the U.S. since 1976. Since its introduction nearly 36 years ago, the Accord has been honored for its quality, reliability and superior drivability. Car and Driver magazine has awarded the Honda Accord its prestigious and highly competitive annual ’10Best Cars’ award a record 26 times. 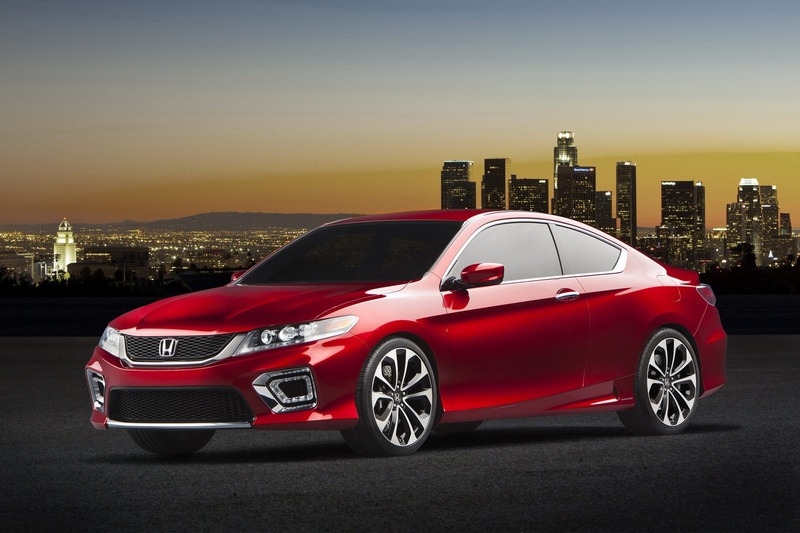 No other vehicle in the award’s history has been honored as frequently as the Accord. 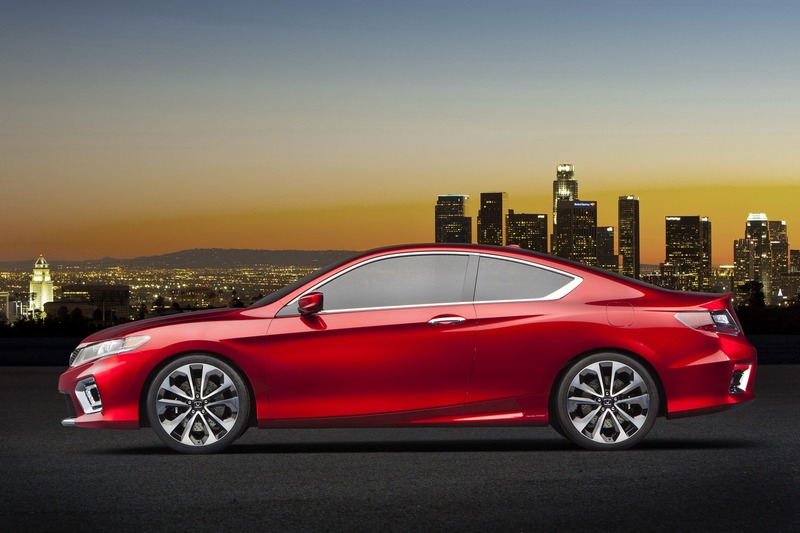 The Accord was also recognized for the highest initial quality in the mid-size sedan segment in the 2011 J.D. Power Initial Quality Survey. 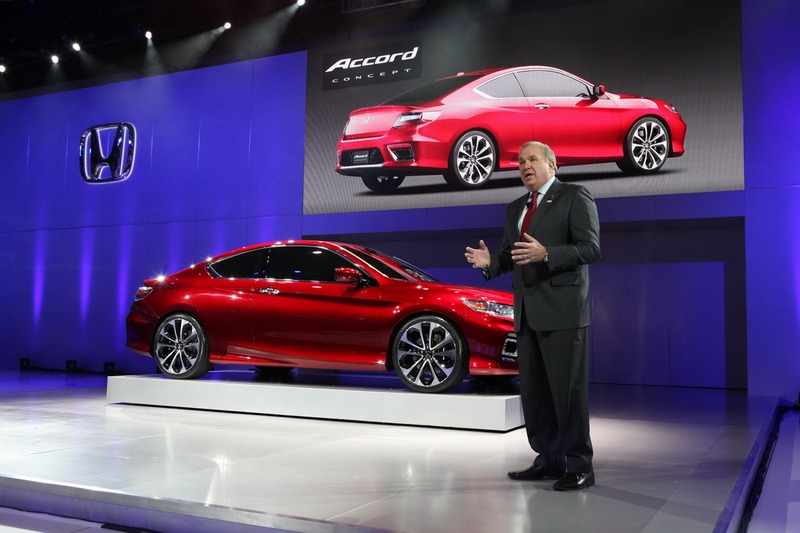 In 2012, Honda will celebrate 30 years of Accord production in the U.S. The first Accord Sedan rolled off the Marysville, Ohio assembly line on November 1, 1982 and was the first Japanese-nameplate car assembled in the U.S. 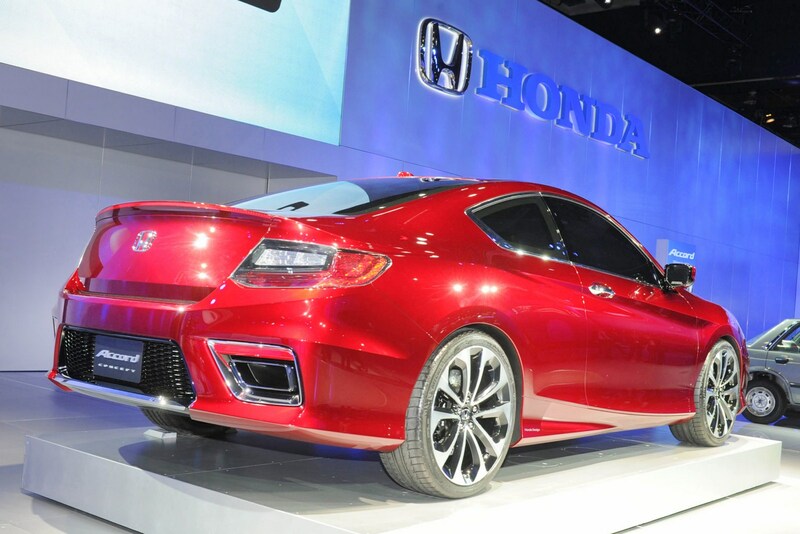 Since then, more than eight million Accords have been produced5 at Honda’s first U.S. auto plant in Marysville, Ohio. 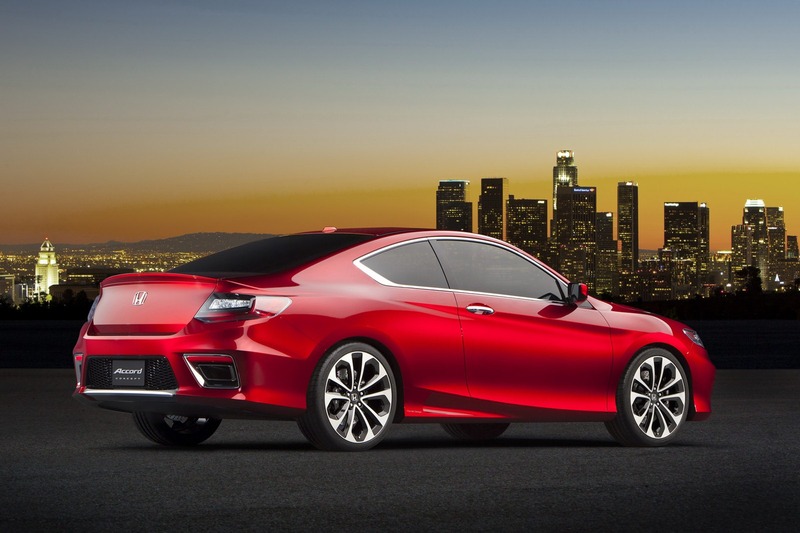 More about Honda in America is available at http://www.hondainamerica.com.